Areas and regions covered for Amtico & Karndean floor cleaning include: Alderley Edge, Altrincham, Congleton, Chester, Crewe, Nantwich, Frodsham, Hale, Holmes Chapel, Knutsford, Lymm, Middlewich, Northwich, Sandbach, Tarporley, Winsford, Warrington, and Wilmslow. We provide a cleaning and sealing service for Amtico & Karndean floors in Cheshire with first class results. Amtico and Karndean vinyl floors are an individual and unique compliment to any commercial property or home. This type of floor is extremely durable offering good resistance to surface foot wear. 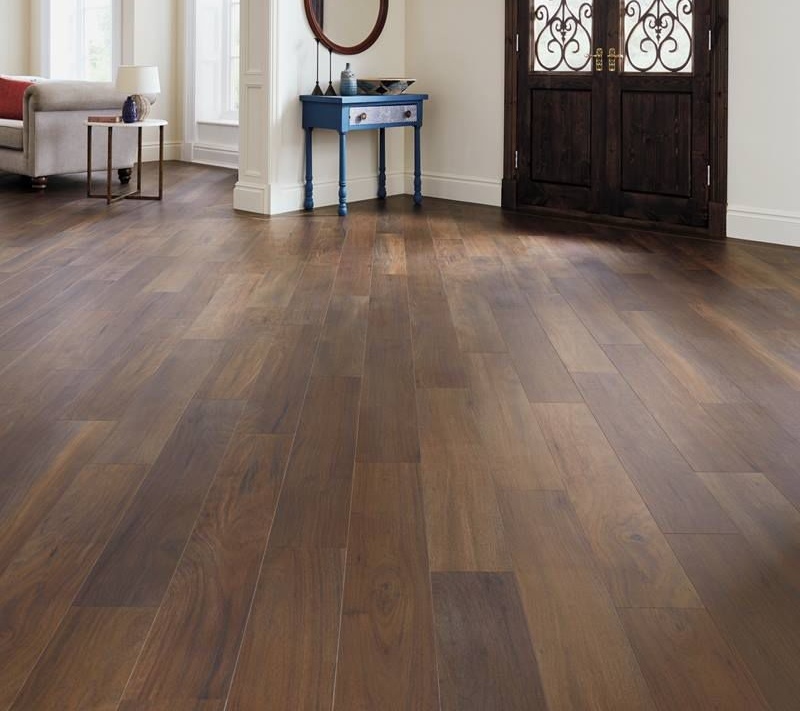 These type floors are also a fine investment that will last for many years to come. Despite regular cleansing and mopping, both Amtico & Karndean flooring will eventually need professional machine cleaning due to grime and deposit build up which is impossible to remove with regular cleaning or domestic off the shelf household products. Should you need Amtico or Karndean floor cleaning in Cheshire, your in the right place. We also carry out sealing of this type of floor. Having maintained and cleaned these types of floors in Cheshire for many years, many of our customers come to us because either their floor is many years old, or they find that no matter what they do, cleaning or mopping, or using supermarket cleaning products just will not clean or restore the floor to how it once looked. Perhaps you have even tried an Amtico or Karndean cleaning kit to no avail. There are a few reasons for this. Some cleaning products contain silicone additives and polishes which when applied in the first instance look great and give a nice sheen to the floor. However, continued applications of this type of product will build up over time to create an invisible layer which will attract dirt and be impossible to remove. Additionally, some types floor can become scuffed or scratched due to heavy and continual traffic. Where there is a build up of cleaning products, grime and dirt or old polish, we can remove this with specialist equipment and machines. During this process, a specialist cleansing product is applied to dissolve the grease, dirt and grime from not only the surface, but also the texture indentations and between the joints of the the floor panels. If your flooring has become scratched or scuffed, we can apply a high solids floor polish or dressing to hide any wear which will also give a resilient sheen and also an easy clean finish. In most cases your Karndean or Amtico flooring will look good as new again! Karndean Floor Cleaning in Cheshire. Amtico Floor Cleaning in Cheshire. Below are photos of an Amtico floor cleaning job in Cheshire. The client had recently moved into the property and was not happy with the wear and scuffing to the floor to the kitchen, lounge and dining area. She was also unsure of the age of the floor. We advised that the floor should be thoroughly cleaned and an application of heavy duty satin floor polish should be applied. Once happy with the quotation and the work being carried out, the floor looks nearly as good as new with little evidence of scuffing or scratches. The floor polish has hidden the wear and has a lovely sheen as the original floor would have looked that will last for many years to come. This is just one of many Amtico or Karndean restoration jobs we have carried out in Cheshire. Work carried out on an Amtico floor in Cheshire. Below are photos of an Amtico floor just a few years old. This was a kitchen floor that was subject to regular heavy foot traffic and also dogs that had caused the floor to become scuffed and worn looking. There were also scratches to the floor. The floor was machine cleaned and several coats of polymer polish were applied. The floor now looks as good as new with no scratches or scuffing evident. The floor dressing polish has also enhanced the colours and finish to the floor. The same results are also achieved on Karndean flooring. Work carried out on a Karndean floor in Chester Cheshire . Below are photos of part of a large Karndean floor in a commercial premises. This floor is situated in a cafe next to the train station in Chester and had become very unsightly during it’s 20 years of use. The floor was stripped clean and a gloss coat of metalised floor polish was applied. As can be seen, the work has now restored the lovely colour and looks nearly new again. The floor is also now easy to mop clean due to the polymer finish and will last for many years. Karndean floor stripped and cleaned and treated with polish. Part of a large Karndean floor below situated near Tarporley had been down for 8 years and was becoming scuffed and worn. What remained of the old polish was removed and a new layer of polish was applied. And a closer look at the above floor. Click to enlarge image. An Amtico floor in Nantwich near Crewe that had become scuffed and worn by years of foot traffic. The Amtico floor which was part of a hall and kitchen area was cleaned and stripped of old polish. Several coats of floor polish was then applied which has made the floor look as new again. A typical example of a close up view of an Amtico floor cleaned and sealed. If you require a friendly free no obligation assessment and quote for your Amtico and Karndean flooring, please get in touch. We can visit your property to see what your requirements are and leave you with a quote for your consideration. How do I get a quote for the cleaning of my Amtico or Karnden floor? Just give us a call or go to the contact page to leave an email or call back request. We can then visit your home or premises to ascertain what is required and leave you with a quotation without obligation. After several years, I'm not happy with my Amtico or Karndean floor. It has become dull and scratched. Is there anyting youcan do? There are quite a few reasons why your floor may not look as it once was. Both Karndean and Amtico floors are one of the most robust floors on the market. However, due to wear and tare and heavy foot traffic and possibly the use of the wrong cleaning products can lead to the floor looking dismal and dull. Usually, there is a solution. Just a short visit to your home or premises to evaluate the problem and we can offer advice without obligation or cost. Do I need my Amtico or Karndean floor sealed or dressed with a polish, and what is floor dressing or polish? Both companies Amtico and Karndean refer to their products as either polish or floor dressing. Either way, a floor polish is a barrier between foot traffic and the floor and is made of polymers. Polymers are essentially a form of plastic, so when the seal is applied it’s like putting a plastic barrier on the floor. This polymer is water based and sets on the floor. It is often referred to a s a polish or seal. In fact it is not a polish at all….just a barrier to help protect the floor. There are many different types of this type of seal. Both Amtico and Karndean supply their own products. However there are also products on the market that contain what are called high solids. These contain small invisible microscopic particles of aluminum that increase the rate of wear and increase the barrier resistance, these are referred to as metalised floor polish. These products are often also referred to to as High Solids floor polish. These products are the ones we like to use due to their long lasting durability and are also used on high traffic commercial floors and will last for many years. So do I need a seal on my floor? Not necessarily. If you just have an issue with your floor looking dull it may just need machine cleaning. This can be ascertained with a visit to you home and carrying out a free test patch. If your floor has become aged with scuff marks and scratching it could be necessary to have the floor deep cleaned with an application of floor seal which can make it looking impressive or nearly new again! How long will it take to restore, clean or seal my Amtico or Karnean floor? Most jobs can be carried out in one day. These range from just a small hallway to an entire ground floor area. Where Amtico or Karndean has been fitted to a large commercial area it could obviously take longer depending on the size of the area. Do I need to remove furniture from the room while you are cleaning and sealing my flloor? If you are just having your floor cleaned it is best to remove small items. Furniture such as TV’s and suites can be moved around while the cleaning is carried out. If you are having your Amtico or Karndean floor sealed after cleaning with a polish, it is essential that all furniture is removed while this is carried out. The reason being, that furniture cannot be moved or dragged across a newly sealed floor and it also hinders the application of the new floor seal. Whats the best way to maintain or look after my Amtico or Karndean floor? If your having you floor cleaned and sealed by us, we would recommend a neutral floor cleaner which will have no adverse affects on your floor installation. We can supply you with a neutral floor cleaner on completion of the job. If your floor has been sealed, any high alkaline floor cleaning products can have an adverse effect on your newly cleaned or sealed floor. High alkaline or High PH cleaning products will certainly remove any polish or protection applied to your floor. Shoes worn inside the house will pick up small particles of grit from outside, so bearing that in mind – on entrances and doorways from outside we recommend scraper mats placed outside the doorway. In doorways from outside it is recommended that entrance mats be in place. Most effective are the cotton type such as Turtle Mats. These will help collect dirt and grit on entering the floor area. Many of the jobs we visit have fine scratches that collect dirt of which is removed during cleaning. Mostly, Amtico and Karndean can suffer from scratch or scuff marks caused by furniture such as sofa’s and suites being moved across the floor. It is essential that this type of furniture including Dining chairs and tables are protected using soft stick on pads so as not to mark the floor. How long will it be before I can use the floor once you have finished? If you are just having your floor cleaned you can use it straight away. If you are having your Amtico or Karndean floor cleaned and sealed you will be able to to use your floor after 45 minutes to one hour of completion of the last layer of polish. If you have had your floor treated with a seal, it is important that any furniture is carried and placed on the floor with care as it will take several days for the seal to fully harden.